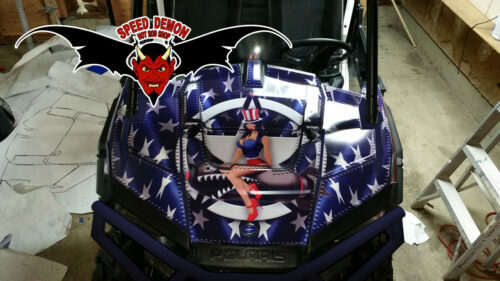 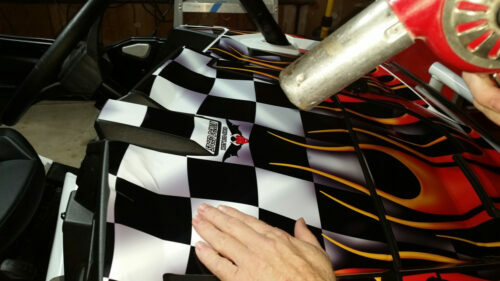 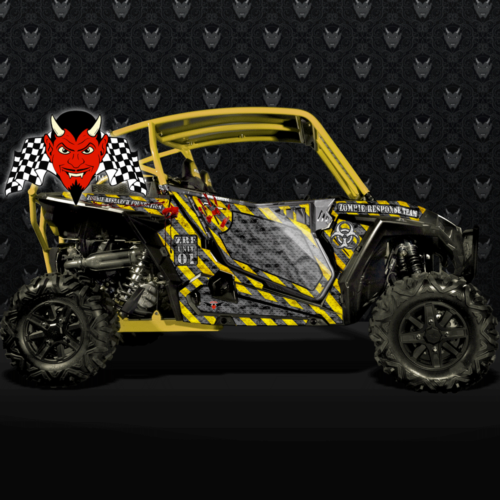 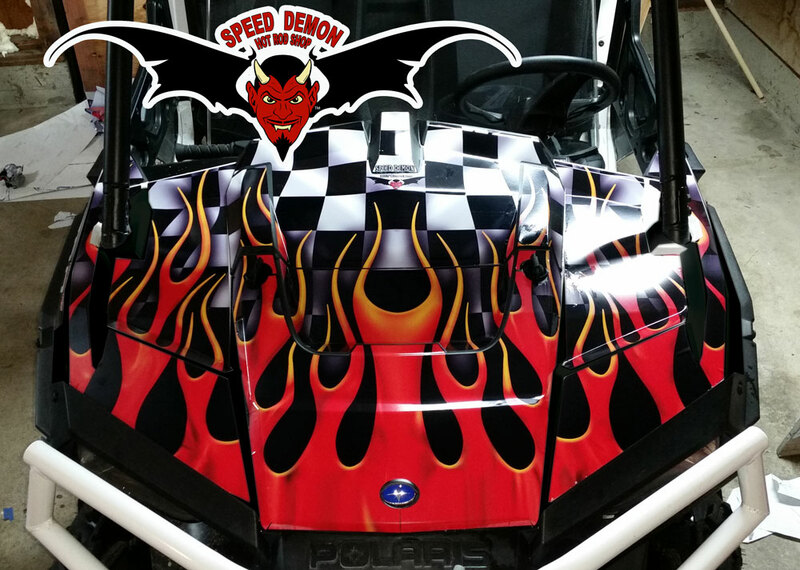 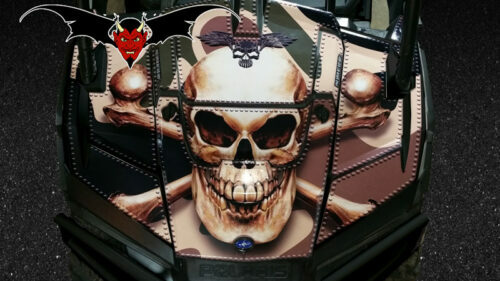 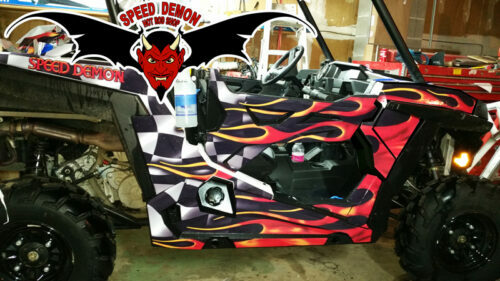 Give your UTV a fresh new look with an eye catching Graphics Wrap from Speed Demon Hot Rod Shop. 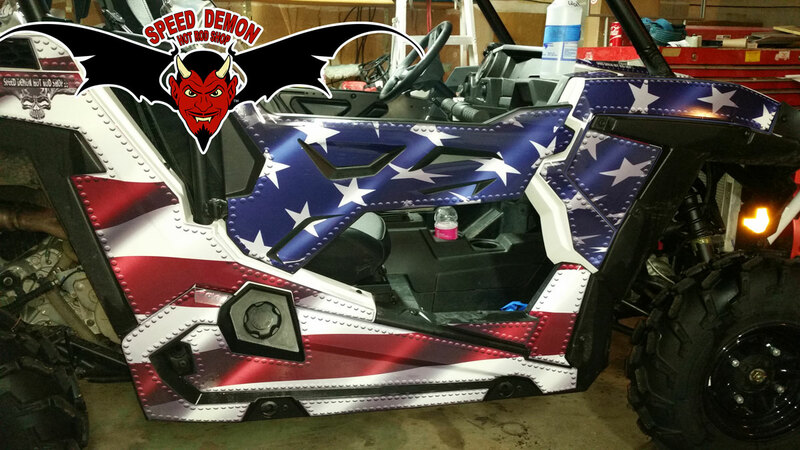 Vinyl wraps are not just made for cars, with the advancements in vinyl technology wrapping your UTV has become an effective and durable solution to custom graphics .There are no limitations to what vehicles can be wrapped. RZR – BRP COMMANDER – MAVERICK – RANGER – WILDCAT – RHINO – TERYX can be wrapped.